That the first two differ fundamentally from where the concept of Cultural Maturity’s more systemic perspective takes us is most obvious. Culturally mature perspective makes clear that Modern Age belief is not an endpoint (we have not “arrived”). It also emphasizes that going forward in rewarding ways is very much an option (neither have we “gone astray”—at least in some ultimate way.) 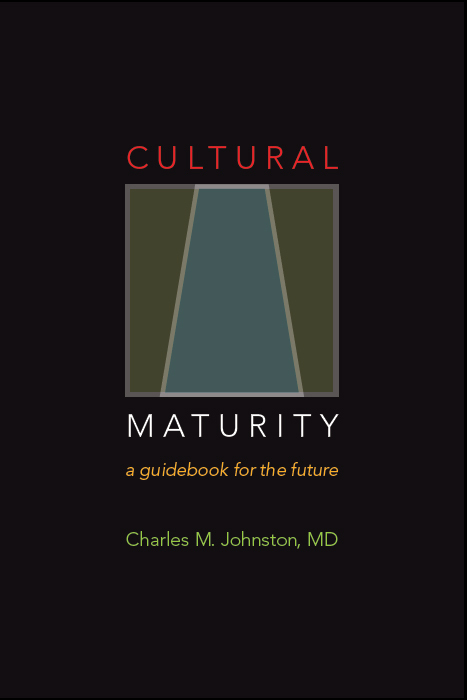 The remaining three scenarios share with the concept of Cultural Maturity that each supports both that further chapters in the human story lie ahead and that these further chapters have the potential to be positive. But, in the end, their conclusions are, again, fundamentally different. Because people can confuse these three, more positive future-oriented ways of thinking with what the concept of Cultural Maturity describes, I will do a separate “compare and contrast” post for each. Here I address Postmodern/Constructivist Scenarios. Postmodern thought has had major influence in recent decades, particularly in academia. It emphasizes our times’ loss of familiar cultural guideposts, and “essentialist” truths in general. Advocates of postmodern perspective argue that we “construct” the realities we live in. 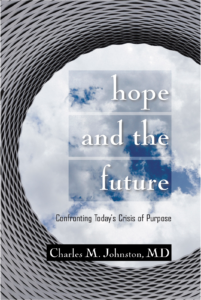 They also argue that the defining task of the future is to do so more consciously. The best of formal postmodern thought at least approaches Cultural Maturity’s threshold. But postmodern ideas vary greatly in their success at stepping over it, or even usefully recognizing its implications. Postmodern/Constructivist perspective today gives us at once some of the best and some of the weakest of future-related thought. Culturally mature perspective views postmodern thought as providing a useful first step. But it proposes that surrendering our past cultural absolutes can only be a beginning. We must also learn to relate and think in newly “post-essentialist” ways—ways that are more encompassing, nuanced, complex, and precise. Particularly with the more extreme of interpretations, postmodern thought commonly reduces to an ultimately unhelpful one-conclusion-is-as-good-as-another relativism. Postmodern belief had its start in the philosophical ponderings of existentialism. With the growing influence of social constructivism in the later part of the twentieth century, it came to be a central influence in intellectual circles. Today, postmodern sensibility has come to define much of popular culture, helping take us beyond the heroic/romantic narrative that until recently defined the larger portion of shared cultural expression (see the Evolution of Narrative). But while on both fronts—more formal thought and popular expression—postmodern perspective makes important contribution, in each case, it stops ultimately short of where we need to go. Formal Postmodern/Constructivist ideas share with the concept of Cultural Maturity that they question the absoluteness of past ways of understanding. They emphasize our time’s loss of final truths. And they point out accurately that beliefs vary widely between cultures, evolve over time, and are subject to human manipulation. But Postmodern/Constructivist ideas fail to help us understand at all deeply why today we see such fundamental questioning of past belief. And of particular importance, rarely do they offer much of real substance to replace what they insightfully recognize has been taken away. Some formal Postmodern/Constructivist thought does make a start at the needed greater sophistication of understanding. The claim that we “construct” the realities we live in at least implies the possibility of crafting our world in more effective ways. Postmodern/Constructivist thinkers also often make predictions that are at least generally consistent with more systemically conceived options—for example, how institutions and assumptions of the Modern Age will give way to more fluid and pluralistic cultural structures, and how understanding in the future will be more often characterized by multiple perspectives and often by contradiction. But fears of falling back into old absolutes severely limit Postmodern/ Constructivist thinking. Even the most fully developed ideas stop short of the critical next step. They fail to help us “construct” our personal and collective realities in the needed, more dynamic and complete ways. Indeed, Postmodern/Constructivist beliefs often directly interfere with efforts to go further. Postmodern/Constructivist thinkers tend to assume that there are no universal truths, only truths specific to particular times and places. Formal Postmodern/Constructivist thinking can get stuck in an immediate skepticism toward anything that might look like an overarching concept. This skepticism has admirable roots. Overarching ideas in times past have had their origins in narrow and often self-serving belief. But postmodern thought’s common distaste for big-picture conception—indeed conception of any substantive sort—undercuts its ability to contribute creatively to the larger conversation. Postmodern theorists tend to be better at critique than they are at providing useful perspective. And often theirs is a most limited—indeed, limiting and deadening—kind of critique. Identification with our ultimate inability to know for sure and with different-strokes-for-different-folks notions of diversity ultimately undermine efforts to effectively move forward. There are thinkers of Postmodern/Constructivist bent whose contributions I draw on and whom I very much respect—for example, Richard Rorty in the philosophical sphere and the many important contributors to constructivist perspective in education. But Postmodern/Constructivist views, even at their best, can provide but a start toward understanding either the present or the future. Over the last couple of decades, Postmodern/Constructivist sensibility has come simultaneously to have less of a hold in academic circles and a growing influence in spheres of popular expression. With contemporary art, music, humor, and popular cultural more generally, we see increased use of irony and a mixing of influences often from far-flung sources. As with the earlier, more formal postmodern contribution, this popular influence has at once invited the beginnings of more complex and multifaceted sensibility and resulted in efforts that often contribute much less than they claim. Too often, today, we find popular expression that confuses the glib, ironic, and often simply random with substance. At worst we get expression that is little more than artificial stimulation in the name of significance. This postmodern influence increasingly permeates not just entertainment, but also more serious forms of popular expression. For example, it has had growing influence in the offerings of public media. I think of Ira Glass’s “This American Life” on National Public Radio as first introducing post- modern irony and contradiction to the public media world. Today, such sensibilities defines more and more of public media programming, particularly that which attempts to reach a “younger demographic.” While initially this aesthetic was new and made a contribution, all too often today it translates into a difference-for-its-own-sake cleverness that says very little while pretending to be profound. I see this trap threatening to undermine public media’s ability to function as a reliable resource. We find this with entertainment. And again, we find it too with digital content that claims to be more serious. I find the paucity of meaningful news coverage on the internet of real concern—and the fact that we don’t seem to recognize that paucity more so. News that is at all curated (for example, the Huffington Post) rarely rises about the quality of an afternoon soap opera. Purported news that is based instead simply on what people are paying attention to (such as Google News) end up combining significance randomly with the worst of triviality (Middle East policy and Kim Kardashian’s behind get equal billing). And the most superficial of digital “new” is little more than clickbait masquerading as meaning (see BuzzFeed). Much of modern social media falls for a related trap. It claims to be about connectedness, but instead leaves us estranged in a world of superficial, often largely random, and ultimately self-centered associations. One of the deepest hungers people feel in our time is for a sense of connectedness and community. (I often do an excise with groups where I ask people where in their lives they feel more “rich” and most “impoverished.” As far as the experience of being impoverished, a lack of a deep sense of community wins hands down.) There are instances in which social media provide important benefits and real human connectedness. But social media have also contributed to a world in which we commonly confuse the most trivial of human contact with real relationship. If postmodern sensibility did not so define meaning in our times, we would find this situation quite ludicrous. In Summary: The Postmodern/Constructivist contribution, whether of a more formal or more popular sort, reflects well the unsettling realities of our transitional times. When timely, it helps us get beyond the past’s heroic/romantic assumptions, challenge ideology, and confront worlds that may seem only contradictory from the perspective of what we have known. But in the end, Postmodern/Constructivist beliefs fail to grasp at all clearly what, if anything, may lie beyond today’s loss of familiar truths. Because of this, they fail provide a useful guiding story for the future. When this failure is extreme, we find sensibility that becomes, in effect, Transitional Absurdity (see Transitional Absurdity).